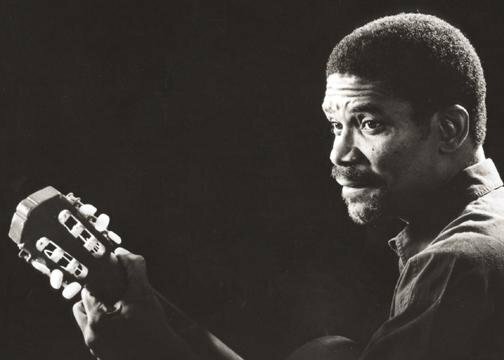 Manno Charlemagne was a Haitian folk singer, writer and composer, born in 1948, in the city of Carrefour, a growing suburb in Port-au-Prince at the time. Manno Charlemagne, a young singer at a catholic choir, became quickly fascinated by the songs of the Haitian peasants migrating to Port-au-Prince in search of a better life. A couple years later, in 1970, Manno Charlemagne became one of the founders of a cultural group called Kilti Libète or Freedom Culture; the group quickly spawned into a cultural movement that promoted the integration of Haitian rural songs into modern music; wonderful idea right? Excepts that Haitian rural songs mostly talk about human rights abuses, justice for the poor, Haitian bourgeoisie and the international community for their unfair practices and policies against the poor majority and call for the people to be united. It didn't take long for Manno Charlemagne to become a target for attacks and assassination attempts. Jean Claude Duvalier forced Manno Charlemagne into exile in the United States for more than a decade. Manno Charlemagne's powerful political songs resulted in the Haitian population's successful rise up against Jean Claude Duvalier, Haiti's dictator for 15 years. His combination of smooth jazz and his communicative voice with Haitian rural songs became an effective tool of justice for the poor Haitians. After the brutal coup d'état of Aristide in 1991, by the Haitian Military, Raoul Cedras the President at the time demanded the imprisonment of Manno Charlemagne for his political songs; His critics of the Tonton macoutes, the civil Haitian army responsible for the deaths of thousands of innocent citizens; his fiery songs openly denouncing government corruptions, and calling for the union of the Haitian people to revolt landed him in prison on many occasions and, anyone caught listening to his songs were thrown in jail by authorities. After many months in prison, Manno Charlemagne was released and forbade playing music; despite the ban, Manno Charlemagne continued to hold secret concerts, but wherever he appeared, thousands of young people would show up, getting the attention of the army. Some of Manno Charlemagne songs were so fiery and blunt, that he was only able to perform them in close settings, to a very small, but growing opposition. Manno Charlemagne quickly gained international reputation and was called the Bob Marley of Haiti. Raoul Cedras launched a man hunt against the singer, forcing him to take refugee at the Argentina Embassy in Port-au-Prince, and ultimately ended up in exile once again, this time in Argentina. He successfully ran as Mayor of Port-au-Prince in 1995, and served in that role until 1999. If you don't speak Haitian Creole you would think that you are listening to the most beautiful love songs, when in fact his lyrics are about the poors not being able to eat, the deep pains of a mother not being able to feed her children and other deep human emotions. Manno Charlemagne sadly passed away Sunday, December 10th, in Miami.